There was a lot of activity at the pool today. South Exeter Avenue just south of the last stop sign was torn up to trench power lines underground. See picture. Also they were doing some level around the edge of the pool. 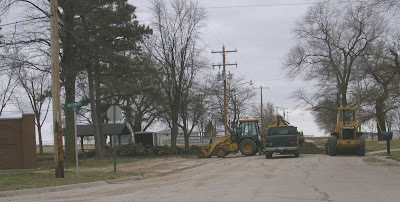 The pump company was at the site continuing connections and pump placement.